We are proud to announce that SkyRidge Community Association has selected Tinnelly Law Group as their association’s legal counsel. SkyRidge is a brand new neighborhood in the city of Riverside being developed by William Lyon Homes. SkyRidge will offer family-oriented homebuyers the opportunity to enjoy a spacious move-up new residence in the desirable Woodcrest area of Riverside. One and two-story single-family detached homes will range from approximately 2,575 to 3,803 square feet, with up to six bedrooms, large great rooms, three-car garages and optional rear yard loggias. Generous home sites with minimum lot size of 10,000 square feet will appeal to homebuyers who enjoy outdoor dining and entertaining. Many homesite locations will also afford distant views of the San Gabriel Mountains. 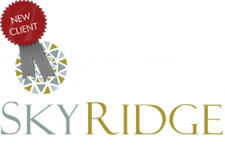 Our HOA attorneys and staff look forward to working with SkyRidge’s Board and management.